The Japanese garrisons in Borneo were part of Lieut-General Masao Baba’s 37Army, based in the Kuching area, with the 71 Independent Mixed Brigade in the south of the island, the 56 Independent Mixed Brigade of six battalions, 366 - 371, plus a seventh independent battalion in the north. The First Tactical Air Force had lead up operations to the amphibious assault, with Spitfires and Mosquitos among the many strike aircraft deployed, destroying military barracks, personnel facilities, supply dumps, radar installations and beach defences. There were also the search and rescue units, such as No13 Squadron, and Catalinas which mined possible Japanese sea approaches and enemy occupied harbours including Hong Kong, the Surabaya Sea approaches and Banka Strait. At Labuan as part of operation Oboe Six a combination of military formations were allotted to AIF 24BG, a befitting squadron of 2/9AR as well as a troop of Frog flamethrower tanks, a commando squadron, one company from 2/2 MGBtn, the 2/12FldRgt including 4.2inch mortar assault troops and light anti-aircraft units, engineers, signals, Army service & supply formations, US 727 Amphibious Tractor Btn and other American shallow watercraft units. This allocated amphibious landing on the strategic placed island coincided simultaneously with another assault inside the Bay of Brunei, on Z-Day 10 June, and was projected at Brown beach opposite Hamilton Point inside Victoria Harbour. A sheltered deep-water port suitable for flying boats engraved into the island’s roughly thirty-five square mile confines which has hills covered in jungle forest, grassland and scrub to the east with swamps in the south. Half an hour before the amphibious invasion five heavy bomber squadrons, about 60 aircraft, bombed the Japanese defences on this island in the Bay of Brunei and rocket & mortar ships raced inshore firing on a fixed ranged targets inland from the beach. The assault went in, land-sea and air assets, with 2/43Btn supported by two troops of the 2/9AR Matildas landing on the right flank at 9.20am, then pushing along the coast road and encountered as they went stronger opposition. The tanks needed the close support of infantry to prevent fanatical Japanese from disabling or destroying the AFV’s. By 9.45am the two troops of artillery were ashore, ready for action within thirty minutes and by late afternoon all twenty guns plus four mortars were deployed and in two days 24Btry had fired 1,205rounds at one particular target. On the left flank of Brown Beach the 2/28Btn with one troop of tanks landed without mishap and aggressively moving overland captured the wharves and jetties, purposely not bombed, although the enemy resisted stubbornly all day. This very same day as the assault, shortly after 11.30am, the C-in-C SWP Area General MacArthur came ashore at Labuan from an US cruiser accompanied by GOC Australian First Corps Lieut-General Morsehead and other high rank officers of the three services, then returned from whence they came. Then securing this objective prepared to move through the town but with darkness descending delayed the predestined plan. By the end of the day the Australians ultimately held No.1 airfield and the main town while the Japanese had strongly established a group of positions astride the MacArthur Road and to the west of it. Allied close air-support had been available on request, as strike aircraft had been placed in cab-rank on station at two hourly intervals, considerably assisting the tread tracking tanks with strikes being made to within 100metres of the most forward friendly foot troop positions. At first light the 2/28Btn moved off with Matildas towards Flagstaff Hill where the Australians came under small arms rifle fire and Capt Lushington’s company carried this objective in fine style where the Union Jack was raised. Then immediately the right flank of the 2/28Btn now came under heavy fire from positions beyond the high ground. Here under the shining tropical sun Australian sappers toiled their way through the minefield covered by the mobile Matilda pillboxes so the Australian soldiers could swiftly squeezed through. Then with effective and reliable communications pounced onto the enemy with speed of movement that gave the pinned Japanese no time to recover from the bombardments nor to organise a counter-attack, captured the defence positions and continued the advance onto MacArthur Road. By the 12 June the Australians, once the flamethrowing Matildas were in full-action waltzing down the road, had overcame all opposition after the softening up process of artillery & naval bombardment and ariel firepower. A company of 2/43Btn accompanied by three types of Matildas began dealing with the Japanese roadblock forward covering positions. Yet the tanks could only advance along the track, which was blocked by trucks strung with wires connected to all manners of explosives and these obstacles were covered by intense Japanese machine-gun fire. Directed by Lieut-Colonel Jeanes, who was forward at the time, the tanks and infantry knocked out the Japanese pillboxes one by one, engineers moved in and the tanks moved on. A Matlida dozer pushed the wreck roadblock off the MacArthur Road over the steep side into the gully and the Australian Army steadily advanced towards Timbalai airstrip on the opposite side of the isle. The 2/12FldRgt gave ground artillery support enabling the infantry and armour to secure the whole area and the hastened the Japanese retreat deeper into their Pocket of defiance. The Matilda tanks were also used by 2/43Btn in a successful consolidating manoeuvre against an enemy position just north west of the airfield with one company capturing an important road junction and by last light secured the all-compass points perimeter around the main objective. 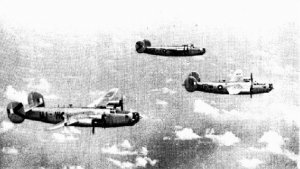 During the following humidity hot days RAAF Beaufighters strafed known targets, Mitchells dropped napalm leaving behind the little lazy puffs of anti-aircraft discharge. The camouflaged Japanese base sited aimed anti-aircraft fire was often effective with allied aircraft losses relatively high over the skies of Borneo.